I have fallen in love with the “knit look” crochet explosion! I can knit, but I knit like a snail and become easily frustrated with the craft. 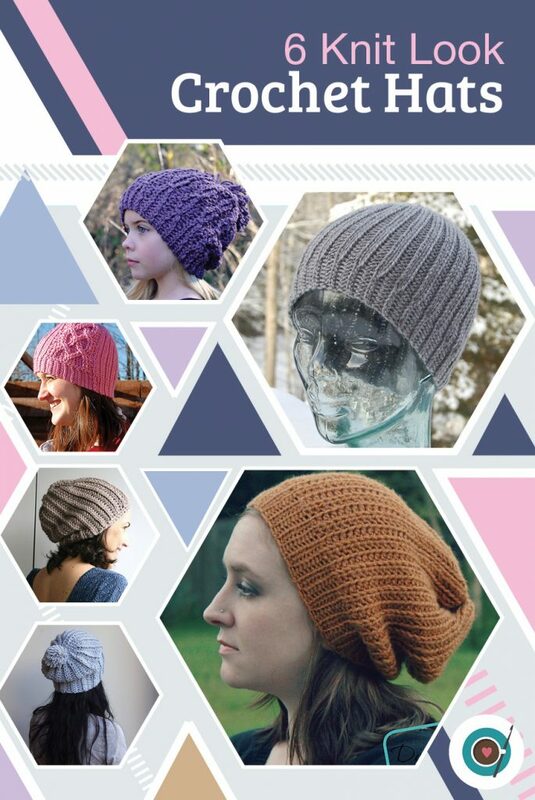 With these 6 hat patterns you will have many options to get the look and feel of knit stitches with crochet. 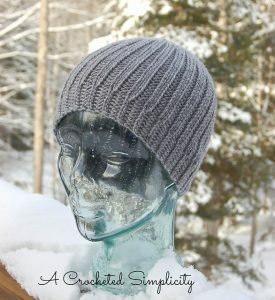 The best part is achieving the knit look isn’t as complicated as it looks! The Billow Hat is perfect for cold days, but comfortable enough for any day wear! 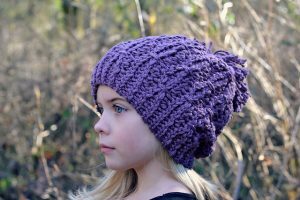 It has stunning texture, drape and you can add a cute pom pom too! Get this pattern here. Grab some bulky yarn, because this one works up quick! Get this pattern here. Do you like cables, or want to try something new? The heart cables add a feminine touch! Get this pattern here. This hat is not only perfect for men and boys, but looks great in any color! Get this pattern here. 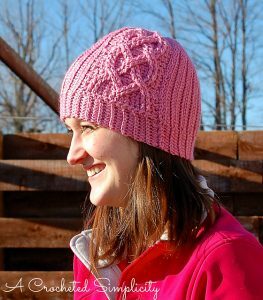 The Stella hat offers a variety of options to make this hat 100% yours! Get this pattern here. 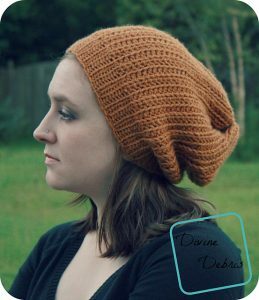 This hat is great worn as a slouch, but roll up the brim and you have a cute beanie too! Get this pattern here. 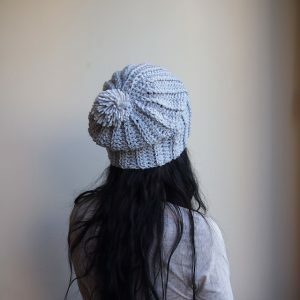 I have personally worked up the Billow Hat and the Men’s Reversible Beanie, and I love them both! Which pattern would you like to try?